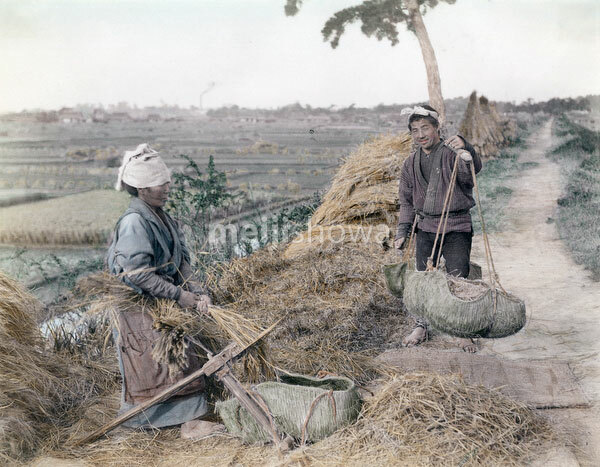 A woman is threshing rice stalks with a Senbakoki (threshing machine), while a man is carrying straw bags balanced on a pole. In the back drying rice plants can be seen, it was customary to dry freshly cut rice plants before threshing commenced. See blog entry.